It would be great that local bookstores like Audrey's, Greenwood's or Earth's General Store were also promoted for books. I know we carry it and I would think that the other two independent bookstores would also carry them or at least could bring them in. 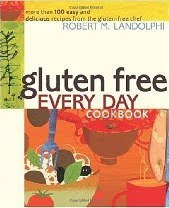 EGS carries about a dozen gluten free cook books.